Today's red post collection includes a thread looking for feedback on Nautilus's lore, the final leg of the emote sale, and more! Thermal Kitten and I are the lead writer and editor for Narrative at Riot, and we'd like your help in updating some of the lore for Bilgewater. Looking at the list of champions whose bios are feeling a little dated, we've realized that Nautilus, the Titan of the Depths, deserves a backstory that better fits the modern world of Runeterra. We talked a lot about why and when we might choose to do this sort of update in our recent Nexus article, if you would like more context there. Back when we added all the champion short bios to the League client in November, some of you expressed strong feelings or concerns that a retcon was approaching. We saw the pain that some Varus mains felt with his backstory changes at that time, so now we've taken on stewardship of the lore and we are trying to give more visibility on the process, to make sure we get Nautilus right. We don't just want to make changes. We want to make improvements. And that's where you come in. As players, we really value your thoughts and feedback when it comes to his narrative. We need you to tell us, what's most core to Nautilus as a character? What's most important to you about his story? That being said - what the heck, let's give this a shot! We want to do right by your champion - so, thank you for taking a few minutes to point us in the right direction :-)"
"Show ‘em your best smile. You can now snag Charmed, Nice Try, and Justice Garen-teed for 50% off (that’s 225 RP each) until April 8, 2018, at 11:59 PM PT. 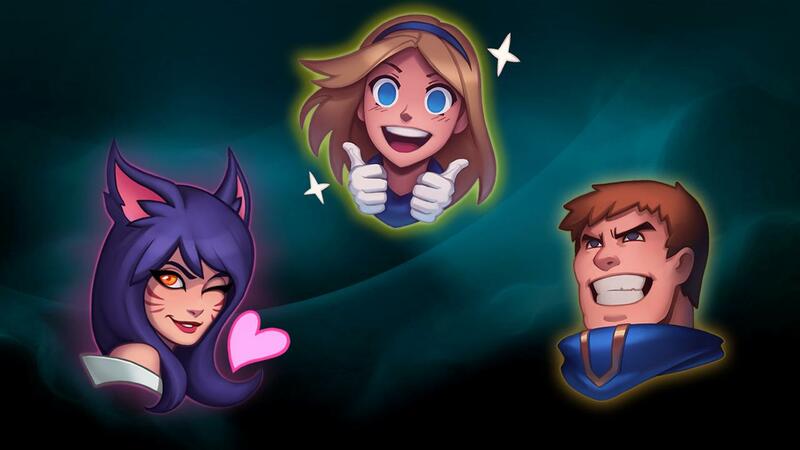 This wraps up our trio of emote batch deals! Hopefully your banter game has been taken to the next level." After a small tease on the Facebook page, the Merch Store has released a new Kindred figure! "Never one. . .without the other. Lamb and Wolf - the eternal hunters - stalk their way into the Series 2 figure line."